With less than a fortnight to general polls, Pakistan Tehreek-e-Insaf (PTI) leaders attempt to woo minority vote in Karachi. 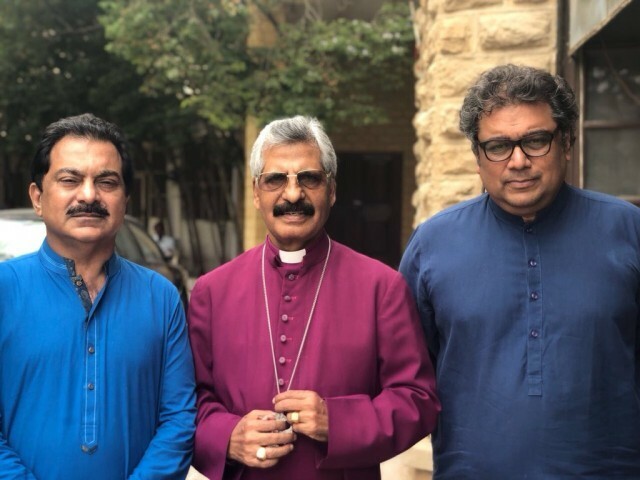 PTI candidate for NA-244 (Karachi East III) Ali Zaidi and PS-104 (Karachi East VI) Mansoor Sheikh reached out to the port city’s Christian community by meeting Bishop Sadiq Daniel on Thursday night and calling on Cadinal Joseph Coutts early Friday morning. Taking to Twitter, Zaidi thanked the bishop for extending support to the Imran Khan-led party. “InshaAllah in Naya Pakistan every citizen will get an equal opportunity to build a future for himself and his family,” he wrote. In another tweet posted hours later, Zaidi shared images of a meeting with Cardinal Joseph Coutts. He said the Cardinal had spoken to PTI chief and “extended warm wishes to each other.” Father Seleh Diego, Chief Protocol Officer Pervaiz Gill, Sanjau Gangwani and Sheikh were also present at the meet.